‘Today is all that matters,’ is the message from Jürgen Klopp as Liverpool prepare to return to action against Southampton at Anfield. Tuesday’s dramatic 3-2 victory over Paris Saint-Germain at Anfield means the Reds have won all six of their fixtures of far in 2018-19. Nevertheless, Klopp has outlined why he feels today’s Premier League encounter with the Saints can be described as their most important of the season to date. 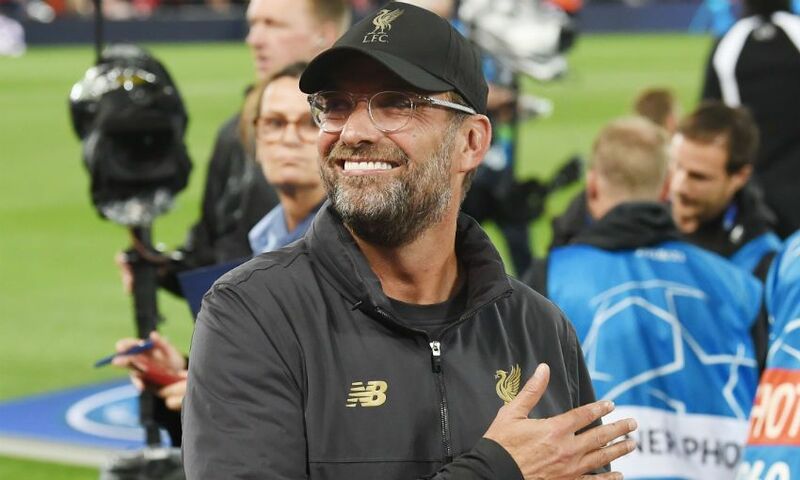 The manager wrote in his column in ‘This is Anfield’: “Last Tuesday night was a tremendous feeling for everyone associated with Liverpool, but as is always the case we must immediately re-focus and all our efforts and energies have to go into this huge fixture today. “There is really no need to give this message to players or supporters, as they will know it already, but this match is our most important of the season, because it is what’s next and therefore it is the only thing to say in this moment. I could not care for one second how many we have won in a row, or how healthy or otherwise our position is in any particular competition. To coin an English phrase I have learned: today is our be-all and end-all. “It is not a case of ignoring what we experienced on Tuesday night – the opposite actually – but take from it what is useful. What is useful is that we saw that out-working your opponent is important – as it will be today. That being more hungry for the win is important – as it will be today. That outstanding atmosphere, feeling and passion from Anfield makes a difference – as it will do today. “The lessons from Tuesday which are relevant for this and every game is that to win at this level, Champions League or Premier League, you must have the right mentality and attitude or you lose. It's that simple. “Southampton will need no teamtalk for this match. They will see this as a fantastic opportunity. The positivity around us in this moment is fine, and of course I would sooner it be this way. But a positive feeling should not allow for a feeling of satisfaction. “I have spoken many times about staying ‘angry’ in the competitive sense. Today it is critical. Southampton come here to ruin our day. They come to stop our momentum. They come to win at our home. Pick up your copy of 'This is Anfield' at the stadium this afternoon, or subscribe online by clicking here.